Thorneyholme School were invited, by The Duchy of Lancaster, to be involved in planting an avenue of trees near Whitewell. So on Thursday 7th March, Class 1 braved the elements and went to meet the planting team. 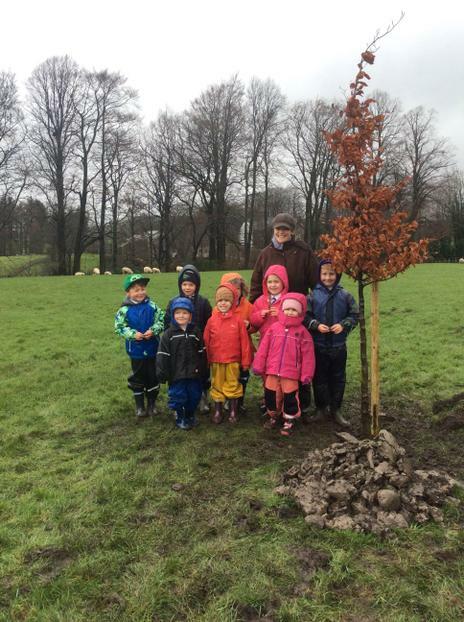 The children planted a beech tree and learnt about the other 49 oak, lime, sycamore and beech trees that are to be planted. The intention is to enhance the existing woodland on the estate as well as creating something meaningful and long-lasting – and it certainly was meaningful for everyone involved. Both the children and staff are looking forward to watching their tree grow.